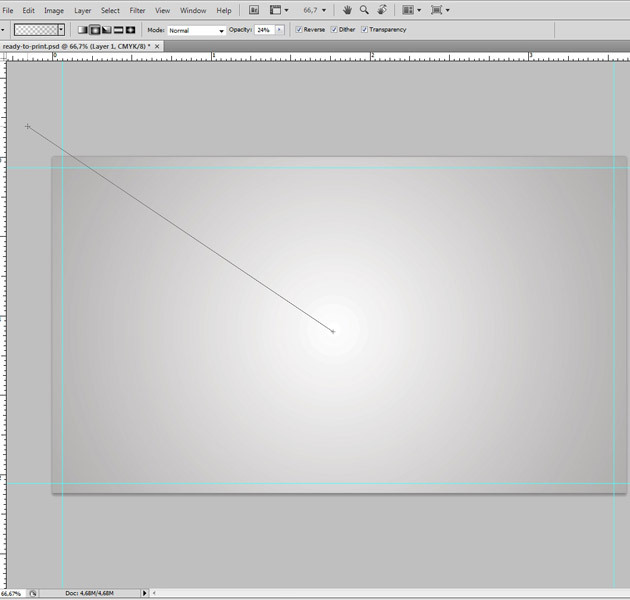 So, let’s get nice design. 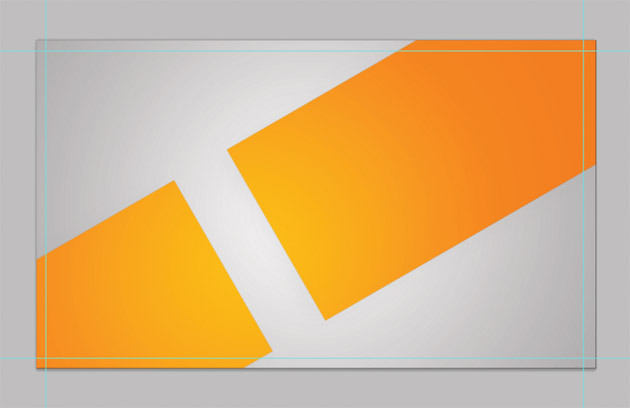 Click on the layer with the orange rectangle, then press Ctrl + T to move, rotate and reduce height the rectangle like the image. 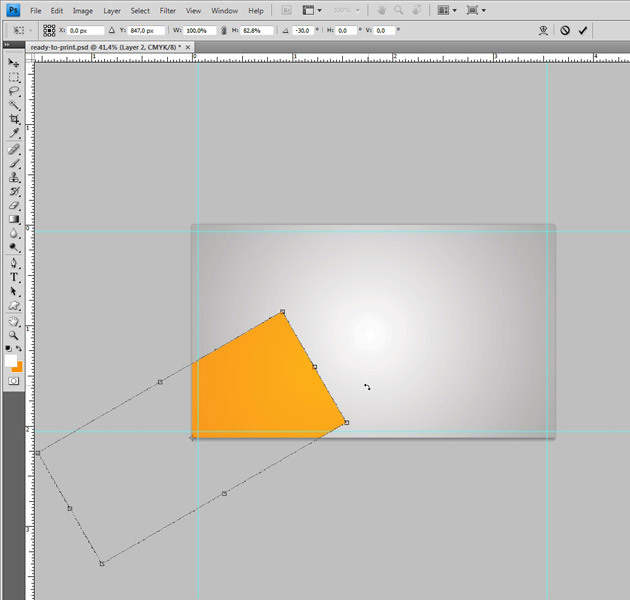 Now click on the Layer with orange rectangle press Ctrl + C, create a new layerCtrl + Shift + N and pres Ctrl + V. You should get something like the image. 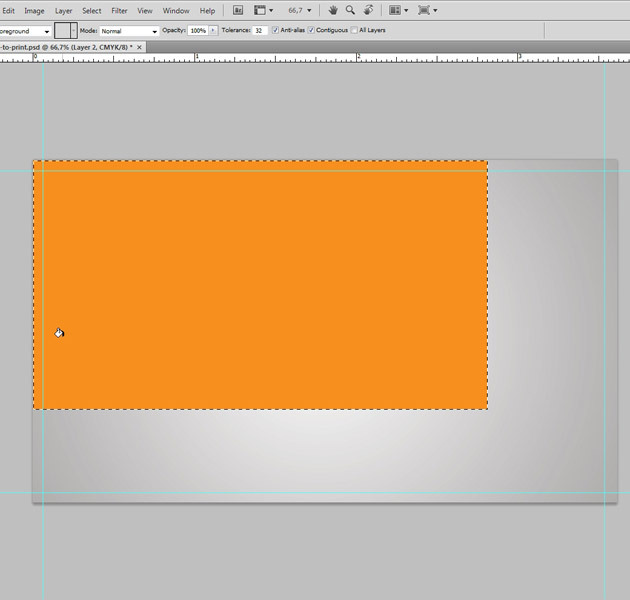 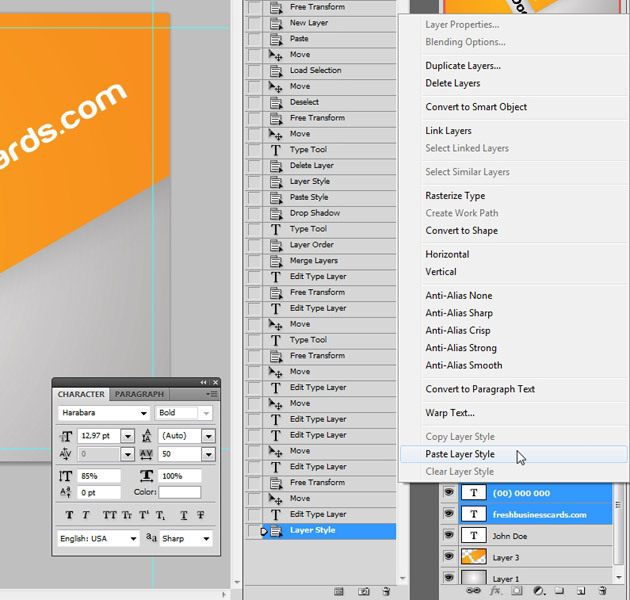 Now we have to move and rotate the orange rectangle as below,to do that press Ctrl + T.
Next, apply these layer styles. 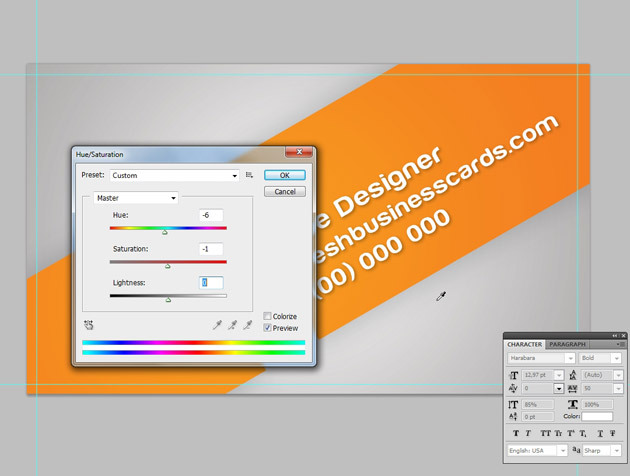 You can mess around with the colors to get the effect and tone you wish to achieve. 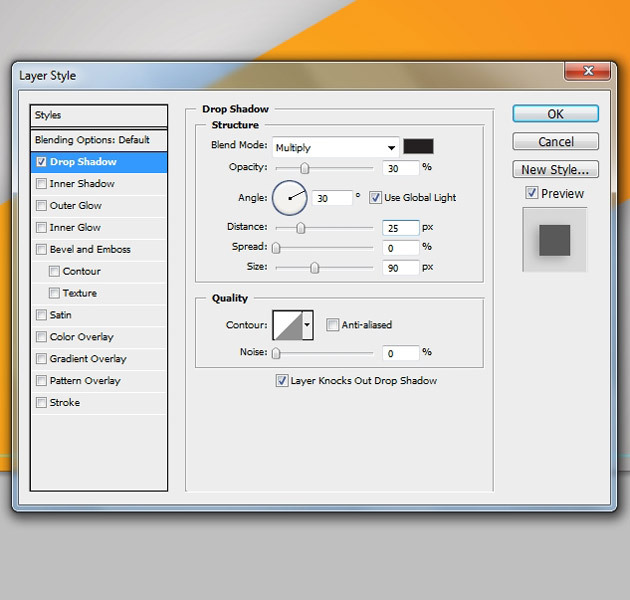 Right-click on the layer > Blending Options. 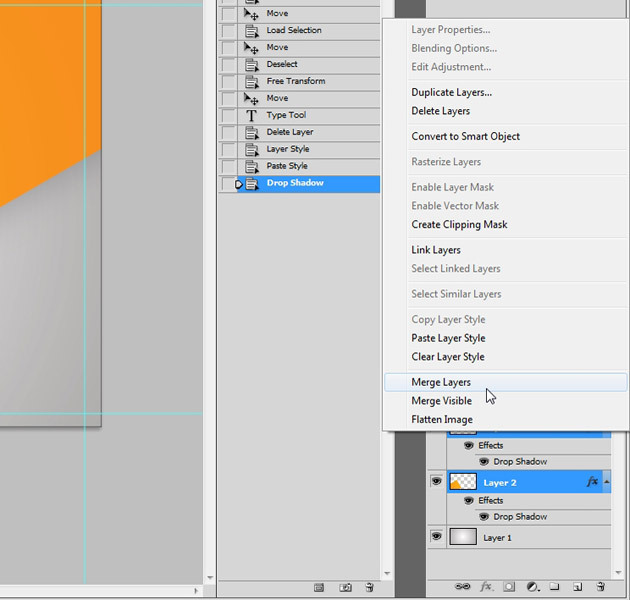 And Marge two layers. 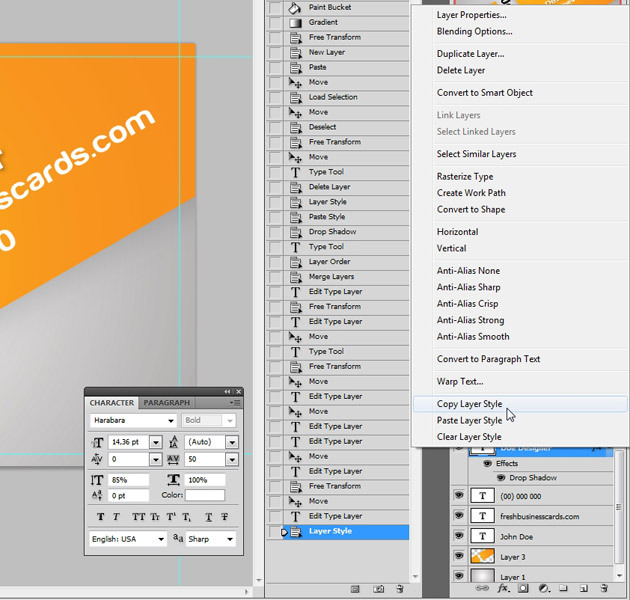 We’re going to go for some type Horizontal Type Tool (T) on the card, here enter your initials in the fabulous Harabara, adjusting the tracking Vertically scale (85%) and sizing (22 pt). 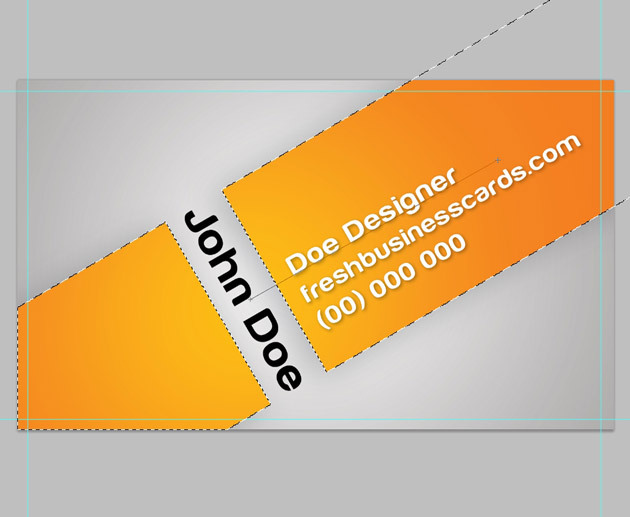 Done, we can save the first page the business card. 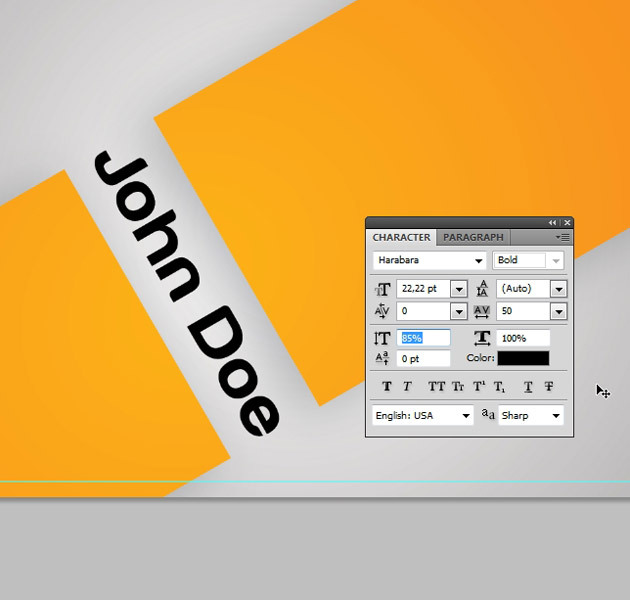 And immediately begin to create the next page. 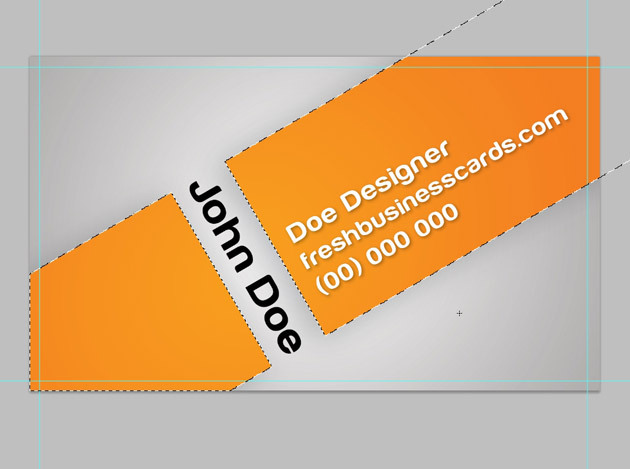 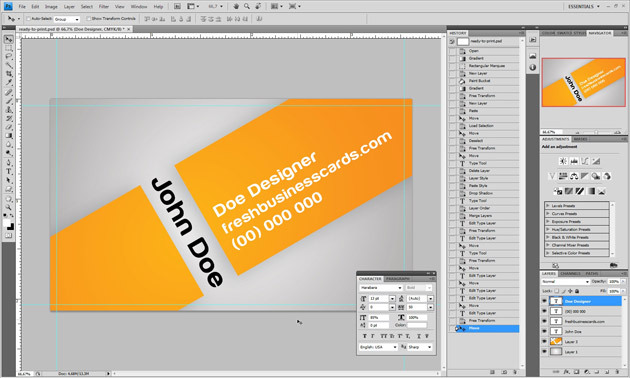 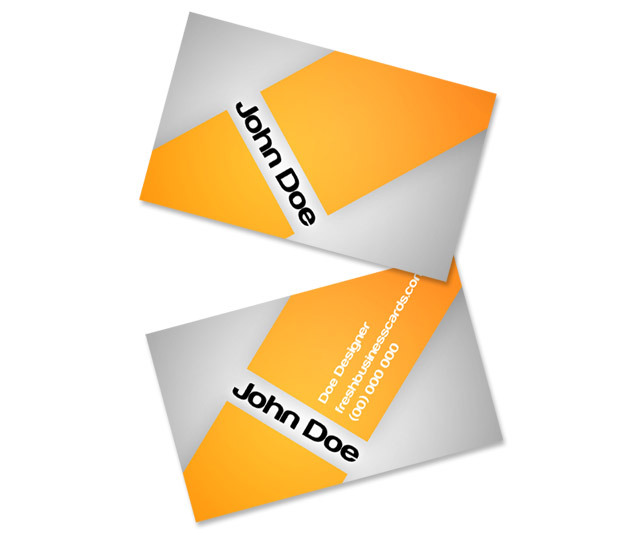 So go for Horizontal Type Tool (T) select white color and add a bit of text with Web address and Email address. 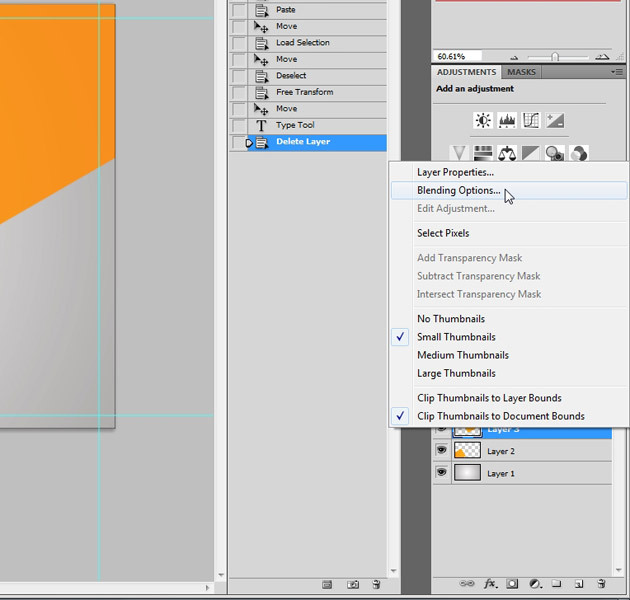 Now go to Blending Options then copy it to the other two layers. 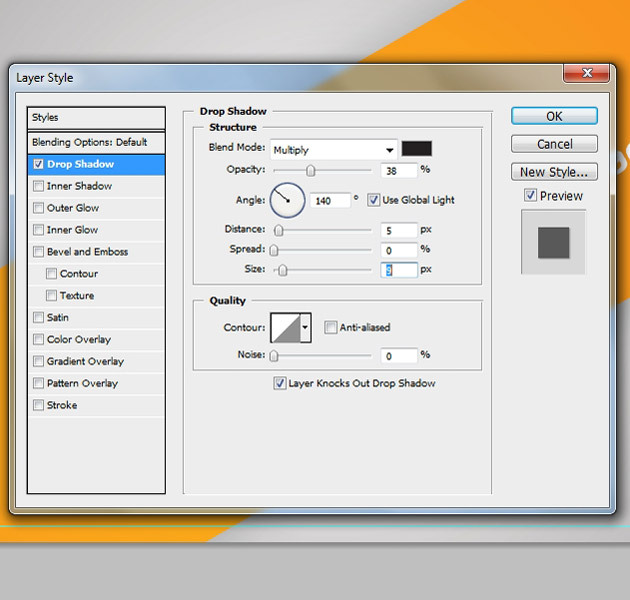 Click on the layer with orange rectangles and go to Image > Adjustments > Hue/Saturation Ctrl + U and now you can just choose a color that you like it, I chose these settings, such as we see below. 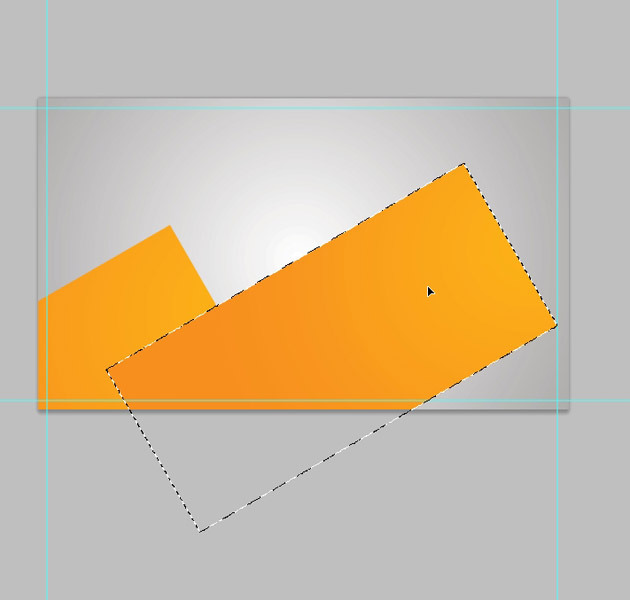 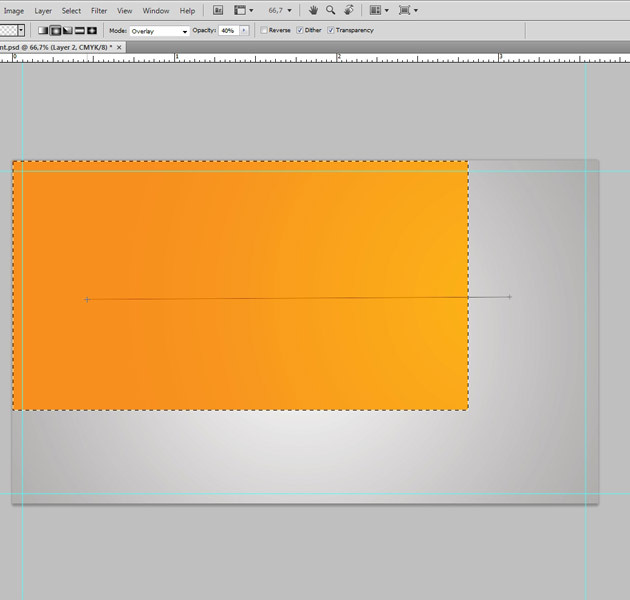 Finaly, we want to add more gradient to the rectangle that it looked better, hold Ctrl and click on the Layer wit the orange rectangle, use Radial Gradient Tool (G) Color: #ffffff with Mode: Overly and Opacity 40% to make gradient like this.